EWG released a new report today (Nov. 3) which found that alternatives to corn ethanol could be much better for the climate. Yet these fuels are crowded out by corn ethanol, which the Environmental Protection Agency found to be much worse for the climate than gasoline. The report found that using corn stalks for ethanol could reduce carbon emissions by 96 percent when compared to gasoline, and using a crop called switchgrass could reduce emissions by 47 percent. The biofuels could reduce transportation emissions, which contribute 27 percent of carbon emissions in the U.S.
Click to read the full report, Better Biofuels Ahead: The Road to Low-Carbon Fuels. Switchgrass could also buffer farm pollution from local waterways if planted along the banks of local rivers and streams. A study led by Dr. Ken Moore of Iowa State University found that planting 10 percent of Iowa farmland with switchgrass could reduce runoff by 90 percent. 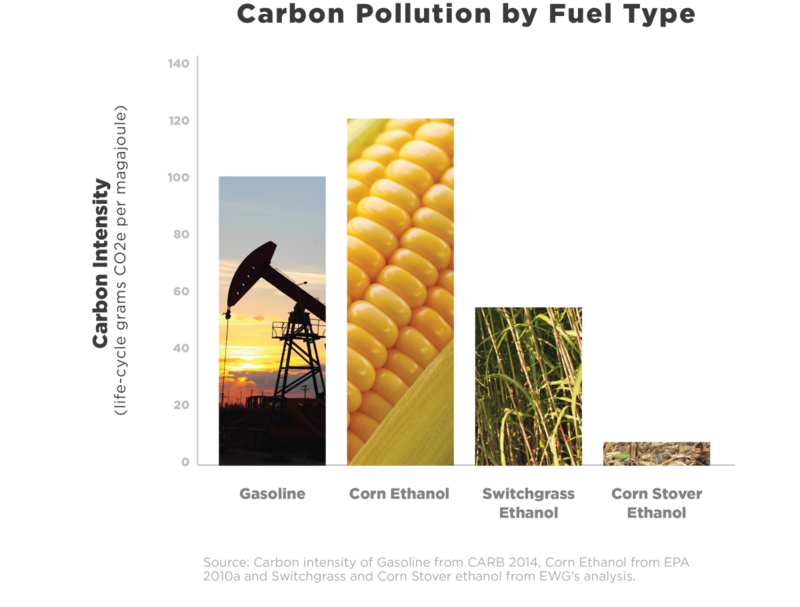 In contrast, corn ethanol uses up more synthetic fertilizer than any other crop, and some of these fertilizers run off, polluting waterways. Corn ethanol pollutes our air and water and has been an environmental disaster. It’s time we change direction, get rid of the corn ethanol mandate and build a road to cleaner, low carbon biofuels.